The Walk to End Bladder Cancer is BCAN’s signature awareness event. 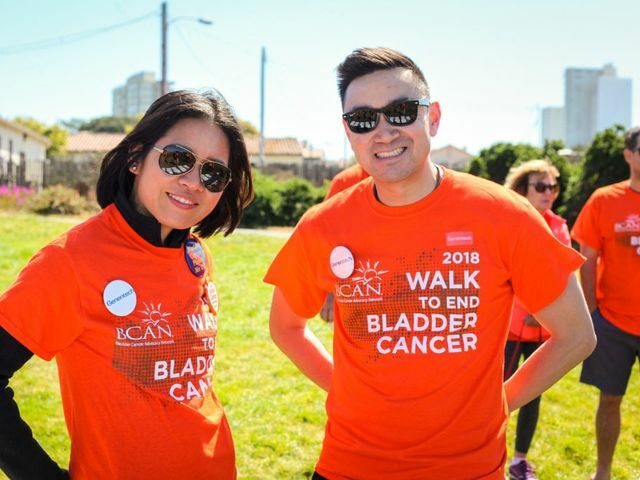 These volunteer-driven events give voice to the many faces of bladder cancer: patients, survivors, caregivers, friends, family, and those who have lost a loved one to bladder cancer. What began in 2011 as a national Walk for Bladder Cancer has expanded to more than 25 locations across the county, engages close to 3,000 participants annually, and has raised more than $3.7 million toward bladder cancer education, awareness, and research.